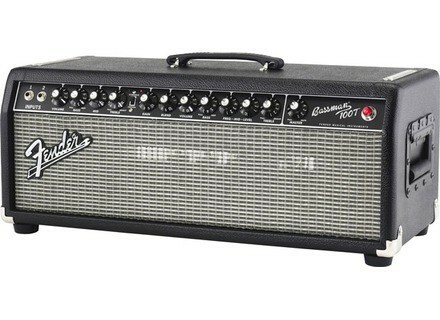 Bassman Pro Bassman 100T, Bass Guitar Amp Head from Fender in the Bassman series. Just go to any music shop and you'll see this rising trend like a bud in springtime. We have been noticing this progressive revival since rock is back under the spotlight, mixing old formulas from the 60's and 70's with the grunge trend from my teenage years. I know, it's a very short explanation but I'm not a writer for Rolling Stone. So I'll just stick to my thing and report about a new amplifier head that extols the virtues of tubes: The Bassman Pro 100T. 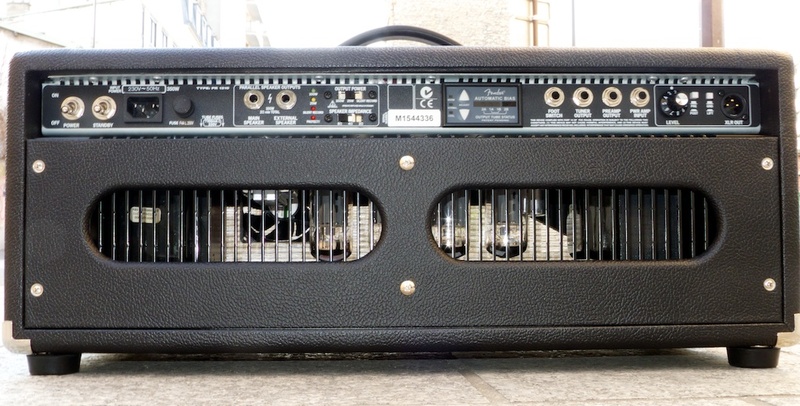 I'd like to apologize for not being able to record the speaker cabinets matching this amp head. Fender offers many different solutions equipped with Eminence neodymium speakers: 1 x 15" (Bassman 115 Neo), 4 x 10" (Bassman 410 Neo), 6 x 10" (Bassman 610 Neo), and 8 x 10" (Bassman 810 Neo). 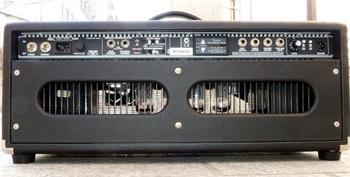 I know some of you would like to hear a full stack, but the supplier only had the 6 x 10" speaker cabinet available. Since I couldn't imagine transporting over 140 lbs. of gear across Paris in order to try it out in a studio and then bring it to my flat on the 8th floor, I just took the amp head with me and tried it out at AudioFanzine's editorial office. 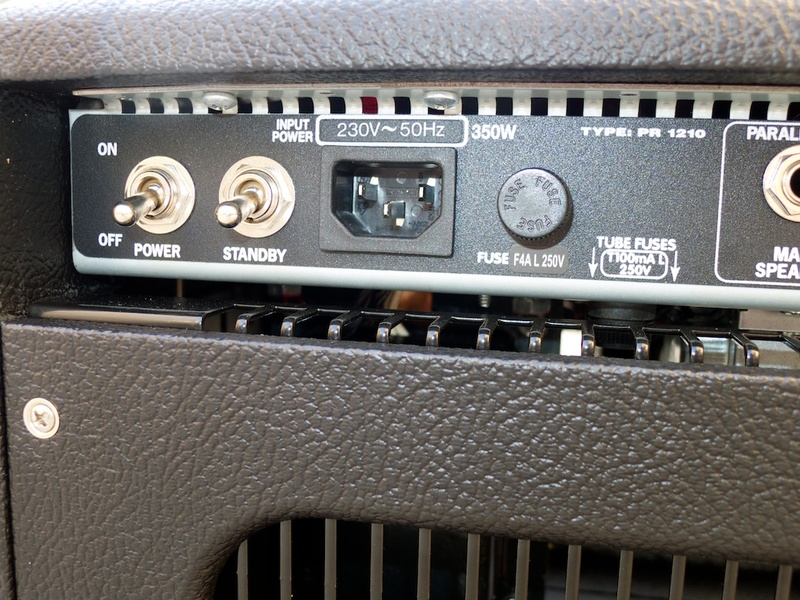 For the recordings, the amp was connected to our Torpedo speaker/miking simulation. 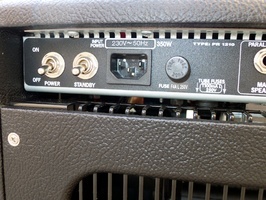 In the Torpedo, I selected a 2 x 12" cabinet simulation. Then, I took my Precision Bass deluxe V.
First of all, you'll hear two sound samples with the Vintage channel. I adjusted the EQ to my taste for both takes, boosting lows and mids a bit and slightly attenuating the high frequencies. For the second example, I enabled both high and low boosts. The tone is beautiful, very warm and deep without loss of definition. 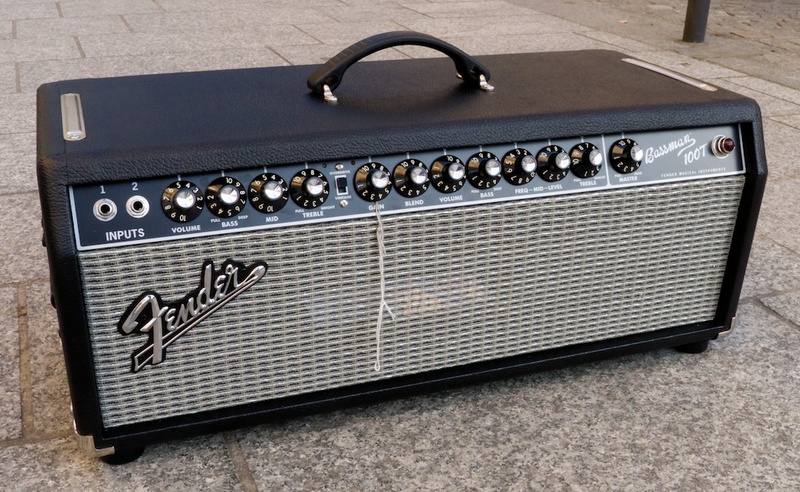 You get everything that an all-tube amp fan can expect: a retro sound that still matches most music genres. Personally, I like it a lot. I even find this channel more appealing than the other one. The controls are so simple that they are self-explanatory. The tone will seduce both the masses and the elite. Both boost functions are effective, which isn't often the case. This channel is great for finger picking but not as good for slap playing though. For the following example I increased the highs and lows with the EQ and the boost functions. I also tried out the vintage channel with a pick, setting the lows to 8 (in a 1-10 value scale), the mids just above 12 o'clock and the highs to 5. I find the sound really satisfying when playing with a pick. I also changed my picking style and contoured even more the frequency response (EQ+boosts) for the second sound sample. Now, let's come to the lead channel, starting with a light distortion in Mel Schacher-style. I couldn't find the perfect setting because I wanted less saturation. 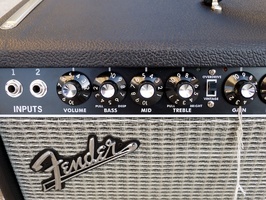 By the way, notice that this channel offers independent Volume and Master settings plus Gain and Blend controls. So it's not easy to master all parameters at once. To give you an idea of how Blend (a clean/distortion balance control) works, first I set Gain to max. and used the EQ to emphasize almost the full frequency range. Then, I turned up the Blend control progressively. But I had the lousy idea of setting the Mid Freq control to low frequencies rather than to high frequencies which leads to less sound definition. Looking back in perspective, it would've been better to decrease the low frequencies slightly, emphasize the high-mids and increase the brightness. But I must admit that I don't feel very comfortable with such a setup. Finding the proper setting for a distortion channel is not easy. You need to know your gear pretty good and have patience. 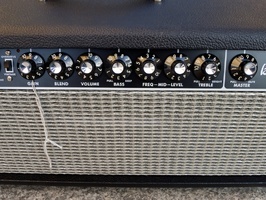 That's the case of the distortion channel in the Bassman 100T: it was conceived for experienced players, considering the precision of the different gain controls and of the semi-parametric filter in the mid-range that affects the distortion behavior. Thus, I reckon other players will be able to get better results than I did and make the most out of the preamp stage. The Bassman 100T is not for everyone. We won't say much about the price: it exceeds the average budget of an amateur, but it is normal for such equipment (approx. $1450). Its disadvantages are more a matter of logistics (weight, size, reliability, warm-up time, etc.). While you won't have any problems getting used to the vintage channel, the overdrive channel is more complex and could confuse even experienced users. So you'll need all your skills as sound alchemist. 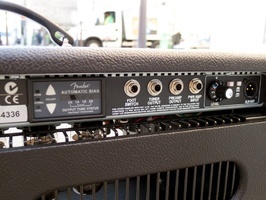 I think many tube fans will be pleased to see that the manufacturer comes back with a high-class professional amp including all implied advantages and disadvantages. The challenge has been successfully met by combining classic and modern features to give you everything you need to go back to the roots. Competitors won't have an easy year 2012. Possibility to play the amp without a speaker for studio applications (silent record mode). 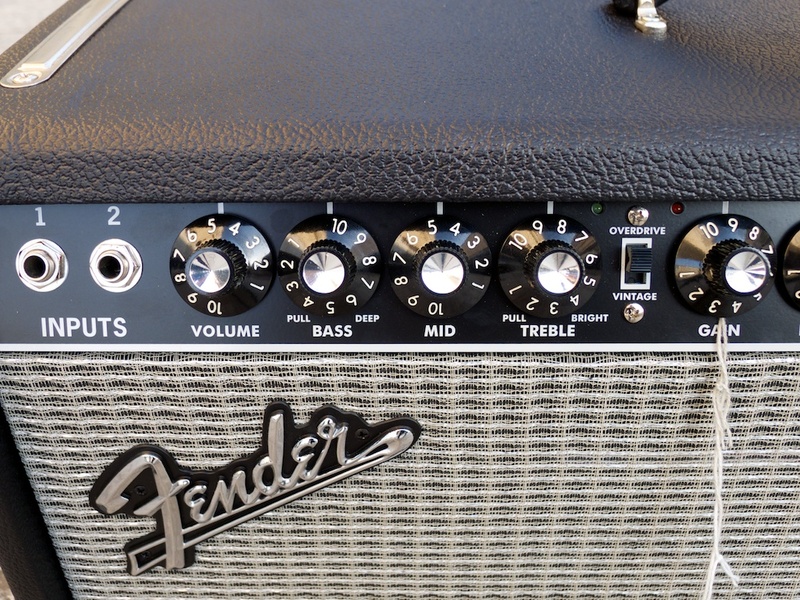 Pro & con: it's expensive, it's heavy, it's damageable, but what an awesome sound!